Good morning! So today is the day that we’ll be working out the kinks for that move over to WordPress I’ve been telling you about all this time – meaning things will probably get a little crazy here on ABS. In the interim I just have one little request – I’d appreciate it if you could hold off on the comments until Thursday morning, purely because I don’t want to lose any in the move! Older comments are being transferred over as we speak, but I don’t the newer comments to get lost in the time it takes to shift from blogger to wordpress (which is why I haven’t posted any of my giveaways yet – clever me, huh? =P). Thanks for all your support and hopefully you’ll see a new and improved ABS within the next 24 hours or so! I happen to love products that come packaged together – palettes, GWP makeup bags, face in a box sets, etc. 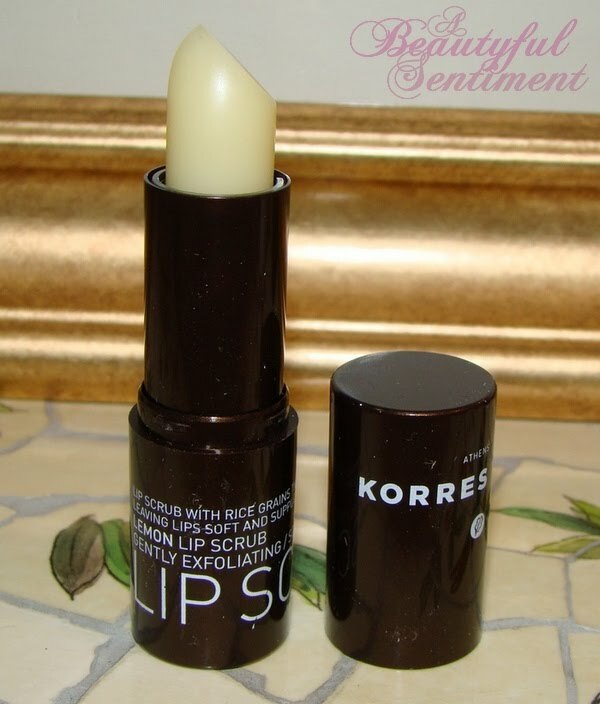 – as they just make life so much easier, and lucky for us Korres has brought us all the essentials to whip your lips into prime-puckering shape with minimal effort in the form of the Korres Love Your Lips gift baggie. Check out the full review, photos galore and some lip swatches after the jump! 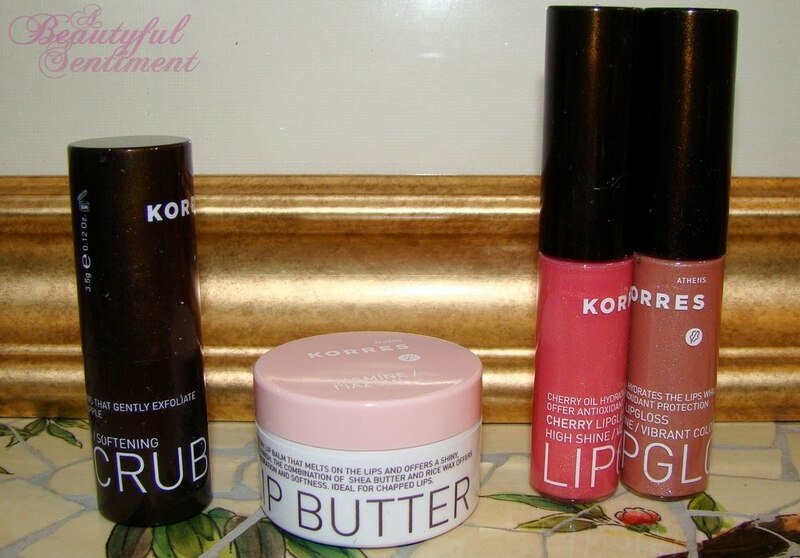 Your $34.50 gets you two of Korres’ Cherry Oil Lip Glosses in Naked Rose 22 and Naked Beige 30, a Lip Butter in Jasmine (LOVE their Lip Butters – see my review HERE), and their Lemon Lip Scrub – a great value considering that each and every one of these products is one I’d use regularly. 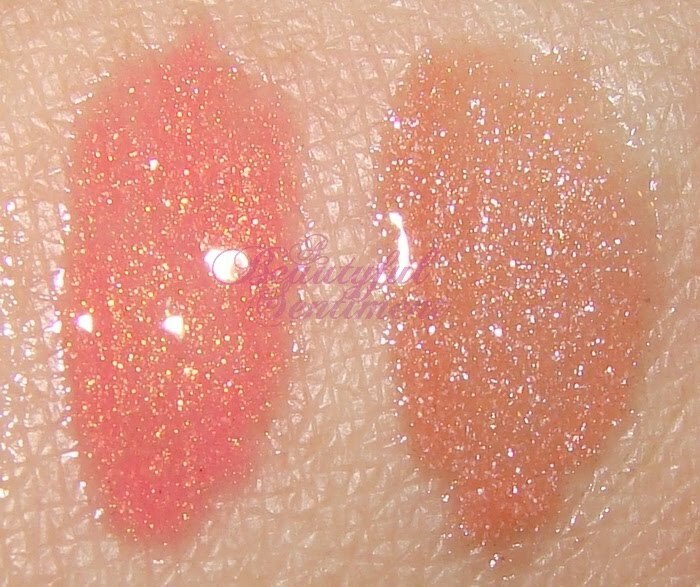 I’d actually planned on purchased Naked Beige (a sheer neutral beige shimmer) at some point prior to receiving this set from Korres as it’s a great neutral shade that can pull together any dramatic eye look, but what really tugged at my heartstrings was the gorgeous golden shimmer in Naked Rose (a golden rose shimmer with light to medium pigmentation). I’m a sucker for gold in my glosses, and so of course I proceeded to spend a good ten minutes or so just admiring the shade in the sunlight (weird I know). 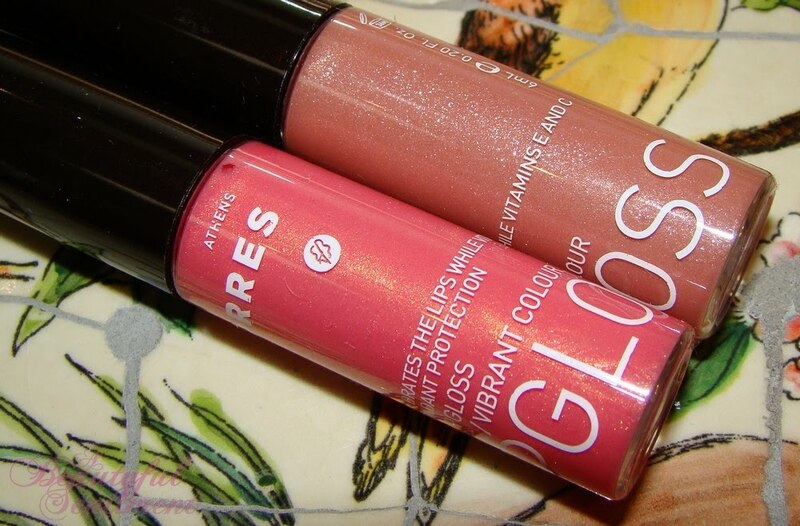 Korres’ Cherry Full Color glosses have an addictive light cherry scent and nice color pay-off (although some shades are definitely sheerer than others), but what I really love about them is that they stay put remarkably well despite the fact that they’re not sticky or tacky. Admittedly the shade range is rather limited, but I like to think that the selection is well-edited and hope that Korres will bring us more shades in the future! 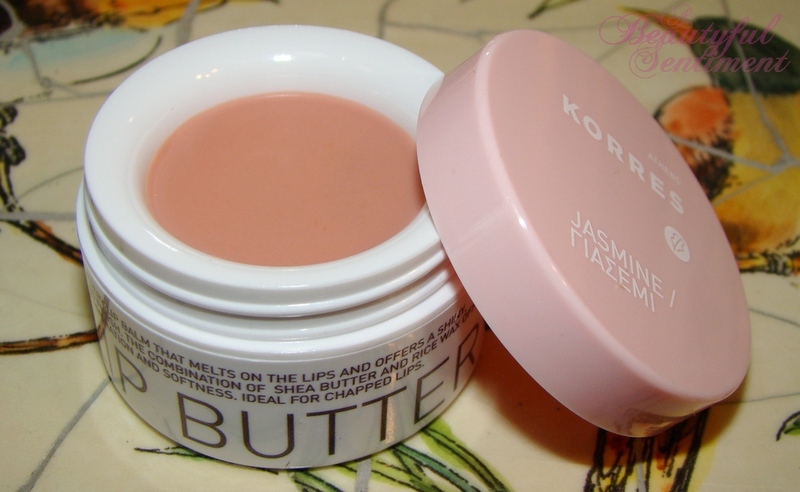 As for the Lip Butter, well you need only read my initial review of Korres’ Lip Butter in Quince for my thoughts. 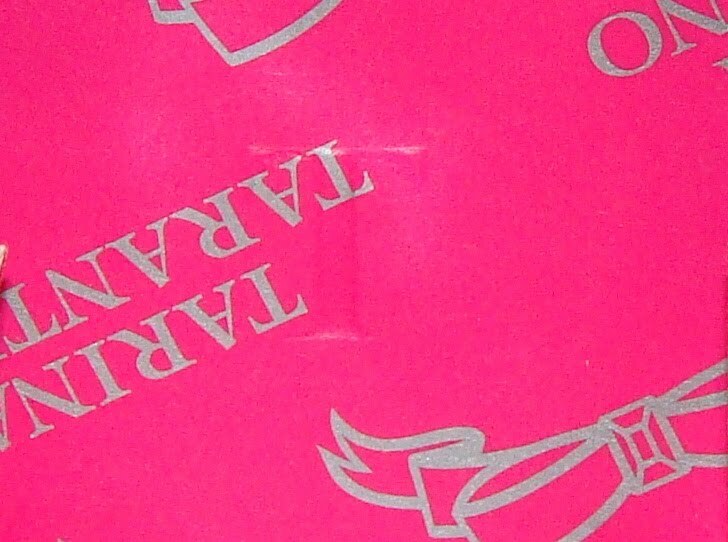 The Lip Butters are smooth, creamy, delicious, and slip right on like butter. On me Jasmine is pretty much invisible making it much more of a balm than a tint, but it does make a great lipstick underlayer. So having been continually disappointed by Lip Scrubs that don’t actually scrub over the years (I’ve tried so so many and they really don’t do much of anything for me), I was expecting more of the same from Korres’ Lemon Lip Scrub, but lo and behold this product actually leaves my lips feeling soft, supple and exfoliated. I was a little disappointed at the lack of lemony scent and the fact that it didn’t get rid of all of my lip flakies, but I did love how fine the exfoliating granules were, which I’m pretty sure is what made this so much more effective than products I’ve tried in the past. 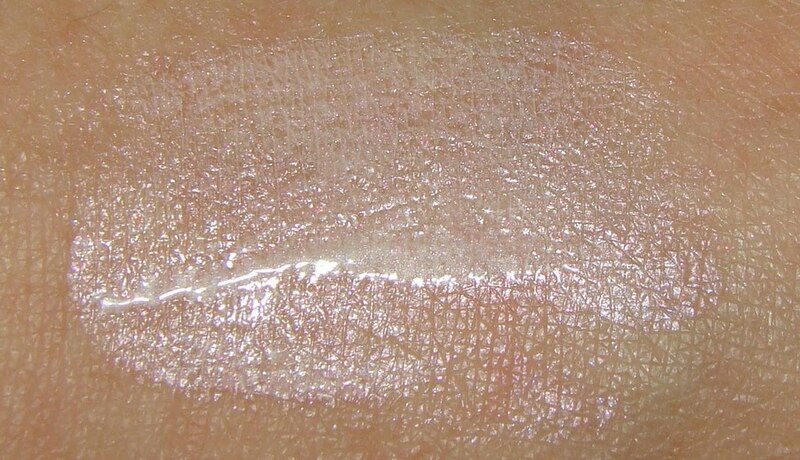 And a close up of Naked Rose and Naked Beige for your viewing pleasure (you know you love the shimmer as much as I do!). And lip swatches as promised! Naked Rose on top, Naked Beige down below. 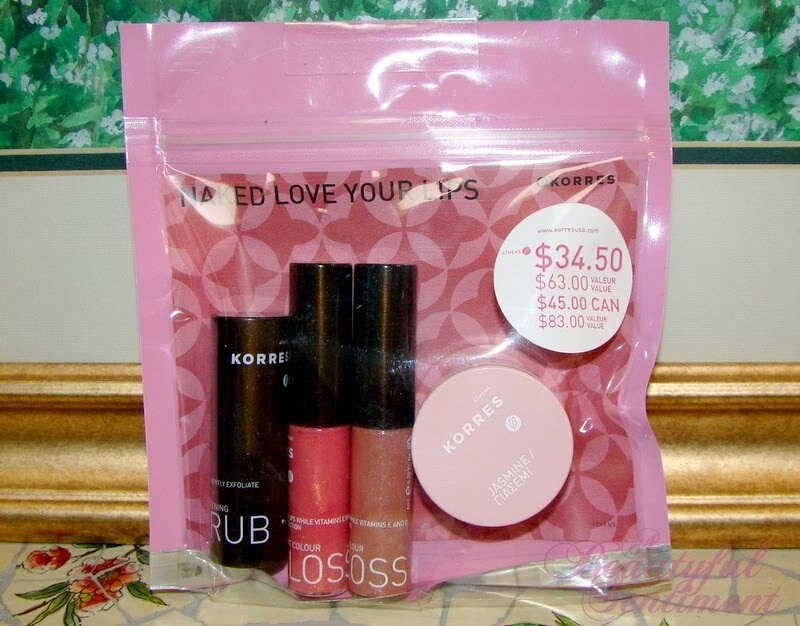 The Verdict: All in all I’d have to say that the handy little package that is Korres’ Love Your Lips set is pretty great value and would make somebody a nice, simple all-in-one gift. Next time your lips are in need of a little pick-me-up, definitely check this out! The Body Shop Lemonade Giveaway Winner! It’s that time again – time to announce our Body Shop Lemonade Giveaway winner that is! So without further ado (considering that I’m two days late on this) here she is – Stormie of Bite Size Baker!!! 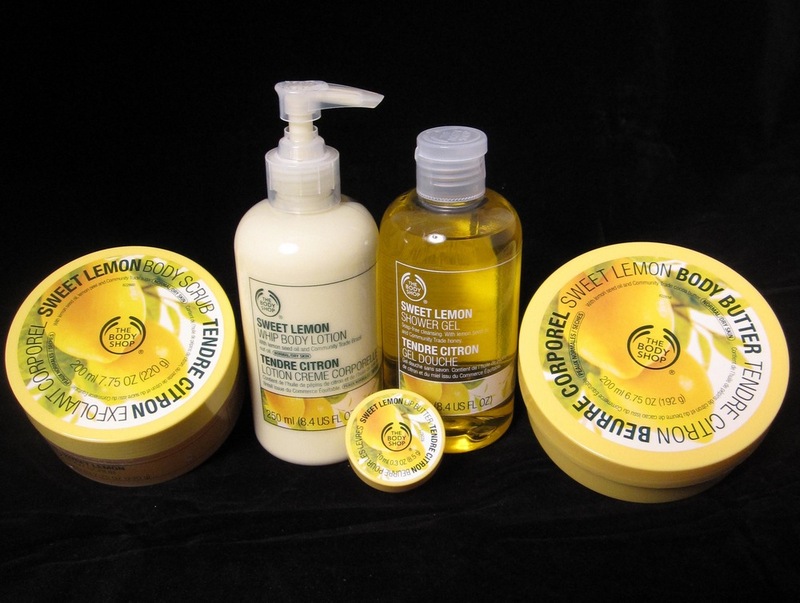 Stormie will be receiving the Sweet Lemon Body Butter, Sweet Lemon Lip Butter, Sweet Lemon Whip Body Lotion, Sweet Lemon Shower Gel and Sweet Lemon Body Scrub – so much lemony goodness in one package :). Thanks again to The Body Shop for sponsoring such a generous giveaway, and for those of you who didn’t win this time around, don’t despair as I have several more amazing giveaways that’ll be posted throughout the next two weeks in celebration of ABS’ two year anniversary! 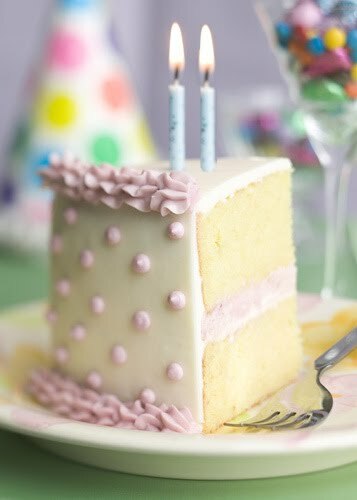 As I mentioned the other day, ABS officially turns two day – that’s 728 days of blogging behind me, and hopefully many more years of posts and reviews to come. The two years have flown by and I can’t even say how much fun I’ve had sharing random bits of my life along with my musings on products over the years. Thank you so much to everyone who’s stuck by my humble little blog throughout the past two years, and of course a warm welcome to my newer readers who may have just discovered ABS – I hope you’ll be with me for my next blogiversary! In honor of my blogiversary, I’ll be hosting a two-week long celebration here on ABS replete with giveaways, discount codes, a move to WordPress, and my forum launch. Please do stay tuned for it all! The weekend is nearly upon us, and all I can really say is – thank goodness! I don’t know how much more of the work week I could’ve handled, and while this weekend is going to be insane for me (I’m cooking a 7 course formal dinner for a party of eight) I’m definitely looking forward to the reprieve from work. Plus just last night I realized that the 2 year anniversary of ABS is nearly upon us! Can you believe that come Sunday, I’ll have been blogging for a full two years? Despite the fact that I almost missed it, I’ve got some great things planned for next week (this was actually most by coincidence lol) including a new look for the blog (this may actually be mid-next week), the launch of my forum (finally!) and a bunch of fantastic giveaways, plus an ABS-exclusive Korres discount code. Hope you’re all as excited for this as I am! 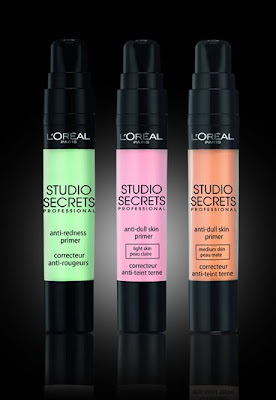 I’ve been waiting for L’Oreal’s Studio Secrets collection to be brought stateside ever since I heard about its launch in the UK, and while it doesn’t look like we’ll be getting the entire collection, I’m more than happy to settle for these Professional Color Correcting Primers. Available in three shades – green to counteract redness, pink to illuminate and add warmth to light complexions, and apricot to lend a radiant, healthy glow to medium/dark skintones – these primers are infused with moisturizing agents to ensure smooth, even foundation application. Check out more details and photos after the jump! L’Oreal’s Studio Secrets Professional Color Correcting Primers not only come packaged in sleek tubes reminiscent of Make Up For Ever’s HD Primers, but they’re also contain SPF 15 to provide sun protection on a daily basis. The pink and apricot shades contain mother-of-pearl particles to provide you with a radiant complexion and I’m really hoping for great things. I’d usually go for the anti-redness, but I’m dying to see just how prominent the mother-of-pearl is in the anti-dull ones, so should I be lucky enough to happen upon these at one of my local drugstores (just checked Walgrees today with no luck) I’ll be picking up the pink. Have you tried these? Got your eye on them? Share in the comments! I love the frequency and regularity with which Urban Decay brings us their always celebration-worthy 30% off F&F events – if there’s one thing I love more than makeup, it’s buying makeup at a discount! Now through April 19, 2010, use code: 1SFNF at checkout to save 30% on your total Urban Decay purchase (and as always, automatically get free-shipping on all orders over $50). This time around I’ve got my eye on the All Nighter Long Lasting Makeup Setting Spray ($29), De-Slick Oil Control Makeup Setting Spray ($29), and of course the De-Slick in a Tube ($28). Be sure to pop back to ABS to share your hauls! While the campaign has now ended, I’d say fan The Body Shop USA on Facebook and follow them on Twitter anyway for all the good that they’ve done! And of course, enter to win your very own LemonAid Collection – check out the deets after the jump! To enter just leave me a comment down below – the winner will be chosen at random. Giveaway open to U.S. residents only (sorry!) and ends midnight E.S.T. April 10th. Good luck! This fantastic giveaway is sponsored by the wonderful people over at The Body Shop – while I do try to buy most of the products I giveaway myself, it gets rather expensive so I always appreciate PR companies offering fun giveaway opportunities for my readers! 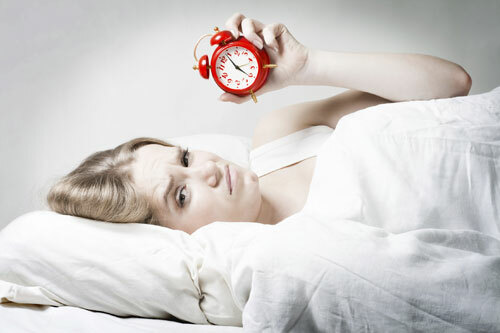 If you have any questions regarding the foregoing, please feel free to contact me at a.beautyful.sentiment@gmail.com. Since spotting Nicci Nix’s seriously glowing complexion on American Idol, I’ve been a little obsessed with achieving that perfectly dewy, glowy look without looking greasy or like I have gigantor pores (which sadly I actually do), and to that end I’ve been playing around with a million different primers and highlighters that have promised me that healthy, luminescent glow. 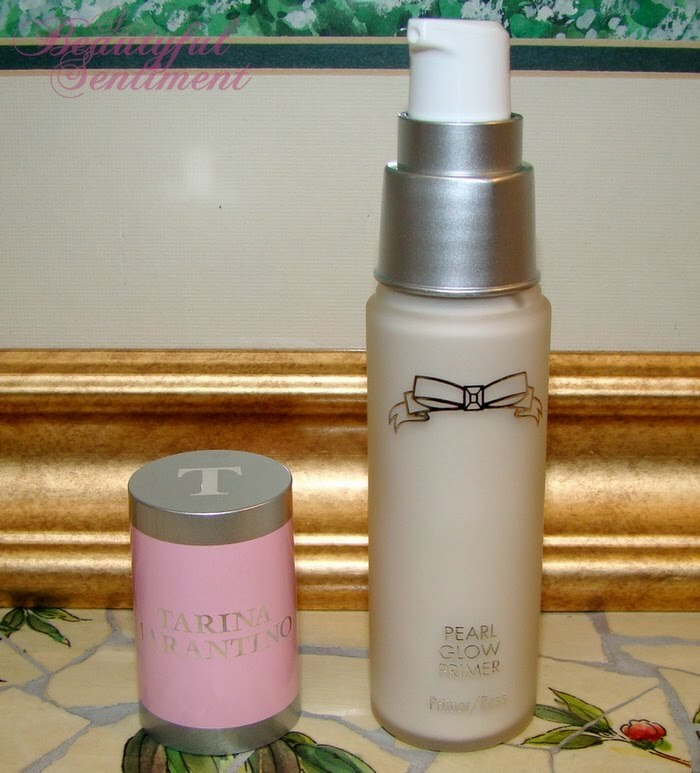 So how does the TARINA TARANTINO Pearl Glow Primer stack up? Click on after the jump for the review! 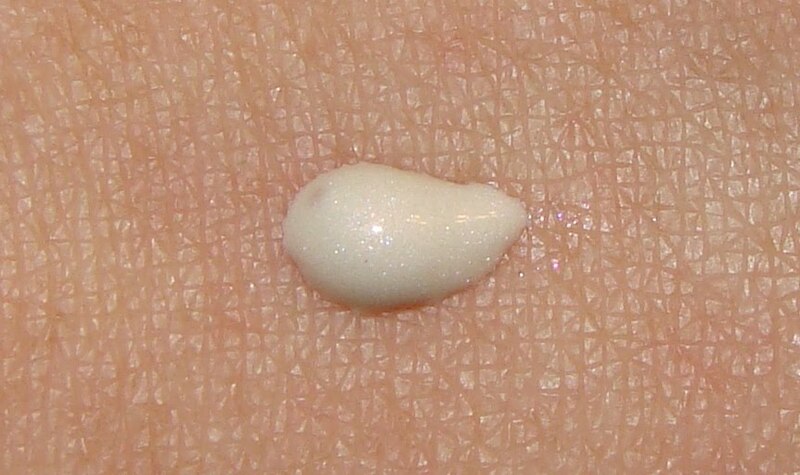 The Science: Pearl Glow Primer contains actual pearl powder, which from what I’ve heard is not only ideal for giving skin that glowly look, but is also pretty great for softening your complexion and reducing skin pigmentation. Yay for a multi-tasking product! The Review: I’ve actually been using the Pearl Glow Primer in two different ways: (1) as a primer, and (2) as a highlighter, either blended right into my foundation or patted on top, and so of course you’ll be getting a review of how the product performs in both respects. 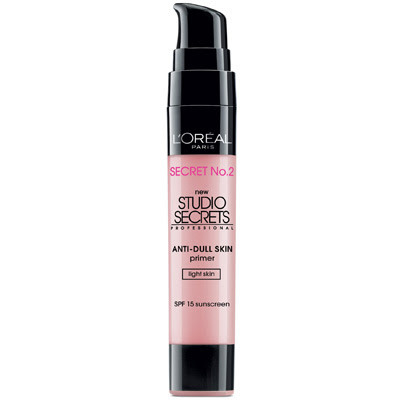 As a primer Pearl Glow is decent – it doesn’t rock my world and make me do a happy dance in the morning, but it does absorb quickly without leaving behind that somewhat greasy, slick feel so prevalent in primers heavy on the silicones (it has a sort of light moisturizer feel to it) . So why wasn’t it love for me? Well here’s the thing – if you’ve got nearly perfect skin and don’t wear foundation, Pearl Glow applied over your usual skincare regimen will give you the most beautiful, luminescent, glowing looking skin without any of the strange multi-hued shine that a lot of luminzers can give, but if you’re like me and need to apply a good amount of foundation over your primer, the luminosity pretty much disappears under it all. Why bother with a luminizing primer that disappears when you use it as primer? As for how it looks and wears, I will say that it really helps my foundation shades to stay true all day long which I’m thrilled with, and it does a pretty good job of controlling my oilies all day long. So all in all it makes a solid primer, I guess I’m just a little disappointed that I don’t get more luminosity out of it. But while I do have my complaints about this as a primer, as a luminizer it’s really second to none. Every other luminizer I’ve ever tried has emphasized my pores and given me a sort of odd pink luminescent glow that’s not very flattering on my skintone, but Pearl Glow somehow manages to give all the glow without any of the accompanying weirdness. 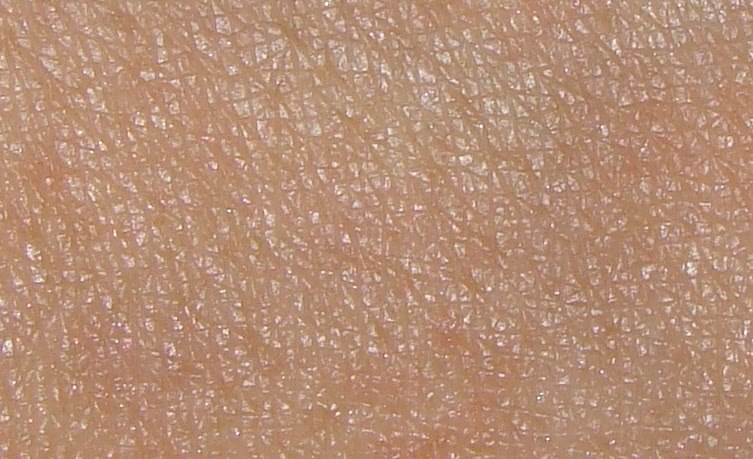 I like to mix a pump of it into my foundation pre-application, then to top it all off by patting small dots onto the tops of my cheekbones, along the bridge of my nose and just a tiny bit on my forehead (basically all the sports the sun would naturally reflect off of). If you’re in the market for a fantastic luminizing product that will give you a beautiful, youthful look, Pearl Glow is your product, but if you’re still on the hunt for that perfect primer I’ve got some better suggestions coming your way sometime soon so stay tuned!